Mangaluru, Jan 25, 2019: Mangalore Refinery and Petrochemicals Limited’s (MRPL) Sea Water Desalination plant near New Mangalore Port, at an estimated cost of Rs 467 crore, is set to commence very soon. Va Tech Wabag, a pure-play water technology multinational company which secured the Rs 467 crore worth contract from the MRPL, will start the work after obtaining the environment clearance it has been informed. The work on 30 MLD sea water desalination plant, expandable up to 70 MLD, is expected to be completed within a period of 22 months. including sea water reverse osmosis, brackish water reverse osmosis and ultra filtration systems. The project also includes laying the pipeline up to a distance of 11 kilometres to deliver the water to MRPL’s refinery. The objective behind the project aims at minimising the fresh water dependency of MRPL during peak summer. In the past, barring the summer in 2018, water supply disruption had severely affected the operations of the refinery, which needs fresh water to the tune of 16 mgd to 18 mgd. The 15 Million Metric Tonne Refinery’s water needs are met from its dam in Sarapady (10 mgd), domestic sewage from Mangaluru City Corporation (5 to 6 MGD) and from its own sewage treatment plant (2.5 mgd). 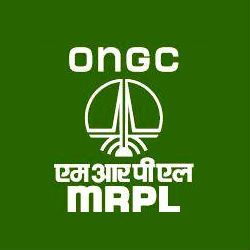 In 2012, MRPL had won a successful litigation against district administration for reducing water supply and shutting down its Phase-III and Phase-II units of the refinery. Sources in MRPL said the Water Desalination plant would now help the refinery tide over any harsh summer. “Wabag was also awarded the contract towards operation and maintenance of the plant for a period of 10 years,” they said.